This lotion-cream definitely feels nourishing and moisturizing, and is especially nice for my forehead and around my nose, where I tend to have drier skin. I prefer it more as an occasional "treatment" before bed when my skin needs some serious TLC, rather than part of a daily routine all over my face. I use it daily around my eczema though, and I think it's helped keep the area around my lips smooth and supple (in conjunction with oral supplements), instead of that area being flaky and inflamed like it usually is in winter. Before applying, I recommend spritzing your face with something like Vichy Thermal Spa Water or a hydrating toner (I DIY my own with rose water and glycerin). This provides an extra layer of water that will get locked in with Extrasensitive, and more importantly, helps spread a smaller amount of the thick moisturizer over your face to avoid overapplication. 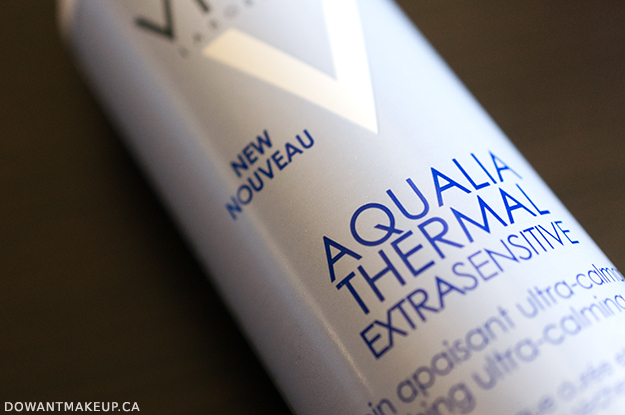 If you suffer from very dry skin, then I highly recommend Vichy Aqualia Thermal Extrasensitive: it contains several emollients and anti-irritants but isn't oily or greasy, and it will probably become a daily staple for you! However, if you have skin that is sensitive but oily, you may find it too heavy for your skin type. 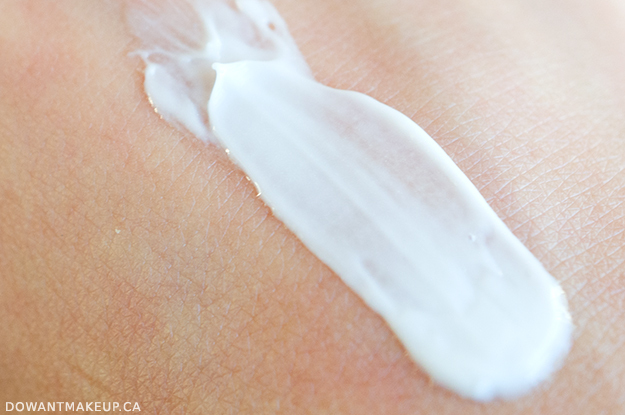 What kind of ingredients should people with dry, sensitive skin be looking for in a skin care product right now? When dealing with sensitive skin, the main concerns women are facing with are linked to signs of DISCOMFORT. Therefore, these women should be looking for ingredients to help soothe, and treat the pain sensations. Before even talking about ingredients, it’s so important to make sure women are using a full skin care regimen adapted for sensitive skin. Therefore, avoiding soaps that tend to strip the skin. Women with sensitive skin should also avoid using foaming cleansers. Prefer cleansers such as micellar solutions which offer a one-step solution to cleanse-tone-remove make-up. Cleansing solutions that have a rich texture such as gels and milks are also recommended. To finish off the cleansing routine, women should consider using thermal spa waters. Depending on the spa water used, they are great to soothe the skin. 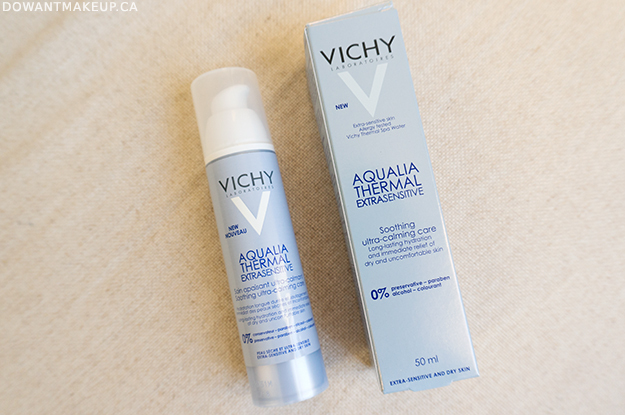 For instance, Vichy’s spa water will help soothe, fortify and regenerate the skin. For women with sensitive skin we also say that less is more. We should be looking for moisturizers with minimalist formulas, and avoid ingredients such as parabens, preservatives, alcohols and colorants. In order to have formulas without preservatives, you will also need to find packages with a technology that allows a hermetic bottle in order to preserve the purity and avoid contamination. To diminish signs of discomfort, look for ingredients that have anti-inflammatory and soothing properties. Look for moisturizers in which thermal spa water is added. Vitamin B3 (also called Niacinamide) is also a great winner in diminishing inflammation. Shea butter also has soothing properties. Are there any unexpected effects of winter weather on skin that people don't know about? First, winter weather has an effect….in our homes! When temperature goes down outside, temperature in our homes go up. The use of heaters in our houses contributes to drying out the skin. More the skin is dry, more it’s capacity to play it’s barrier function is decreased. Therefore, skin barrier is weak, allowing penetration of irritants into the skin. Wind also contributes into weakening the barrier function of the skin. Did you know that sun in the winter is as damageable for sensitive skin, than in the summer!? Snow reflects up to 80% of UV rays. Therefore, when going outside for winter activities, make sure to use sun protection.